Yes, that aerodynamic, sculpted beauty you've been ogling at on the streets of Cusseta, Dadeville and Auburn is none other than the 2015 Chrysler 200. This redesigned mid-size sedan is loaded with amenities and power that far surpass its competitors on the road. And Opelika Ford CDJR in Opelika, CA, far surpasses its competitors with our friendly service and rock-bottom low prices. So step into our showroom and take a look at the 2015 Chrysler 200 that's waiting just for you! When you're cruising all over Alabama, an efficient and powerful engine is a requirement, and the 2015 Chrysler 200 doesn't disappoint. Two engines are available -- a 2.4L Tigershark I4 with 184 hp or a best-in-class optional 3.6L Pentastar V6 pumping out an amazing 295 horses. Both work in tandem with an innovative 9-speed automatic transmission for incredible acceleration and seamless gear shifting. The S model includes steering wheel-mounted paddle shifters. Many sedans don't come with AWD as an option, but it is on the 2015 Chrysler 200 to aid with traction on slippery roads or rough terrain. And fuel efficiency with FWD is a remarkable 23 city/36 -- so you won't have to pull into your local gas station all that often! The 2015 Chrysler 200 is available in 4 well-equipped models -- the LX, Limited, 200S, and 200C. 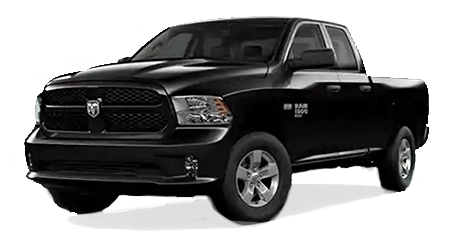 Choose the base LX, and you'll revolve on 17-inch wheels, with active grille shutters to aid with engine efficiency, power mirrors, and bi-function projector automatic headlights all standard. Get into the driver's seat, and you'll appreciate the ECO driving feedback display and electronic vehicle info center, ambient lighting and a 4-speaker stereo system with IPod integration. Step up to the Limited, and you'll add aluminum wheels, a 6-speaker audio system with voice command, Uconnect, Bluetooth, and a 5 inch touch screen. The 200S gets sporty with dual exhausts, an aggressive black grille and rear fascia, 18-inch carbon satin rims, a leather-wrapped steering wheel and SiriusXM. Elevate to the 200C and enjoy leather heated seats, a power passenger seat, and automatic climate control. You deserve to drive the very best without having to spend a fortune, and you'll do that with the 2015 Chrysler 200. Opelika Ford CDJR, serving Lee County and Salem, has a large selection of Chrysler 200's for you to choose from, so come find the one with your name on it and park a 2015 Chrysler 200 in your garage tonight!